As I sat in my room writing that post, I never would have imagined that the very next morning my housemates and I were about to face one of the greatest challenges and tests of faith that we have ever before experienced. On Saturday morning, my dear friend, housemate, and fellow English teacher at BFA, Laura, was seriously injured in an accident at an indoor rock climbing facility. She fell from the wall and landed on her back causing a severe injury to her spine. I was with her during the accident as were several of my other housemates. 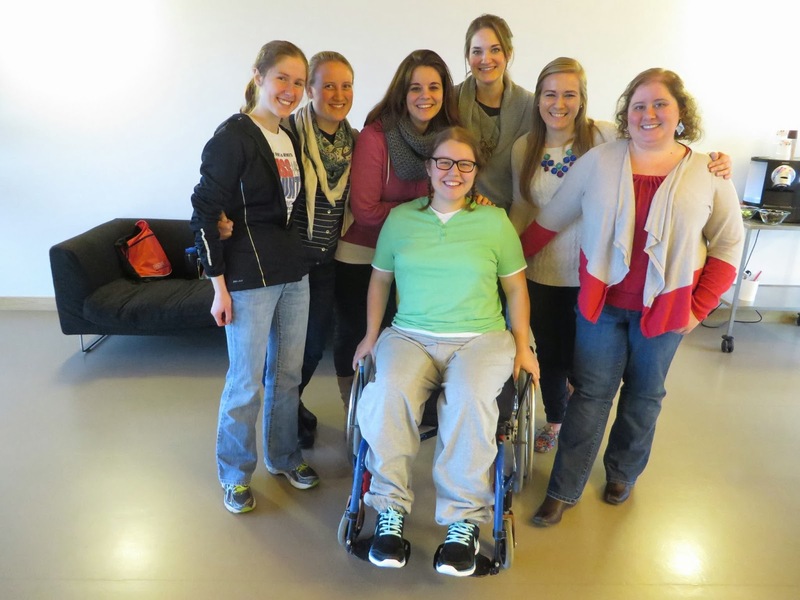 We called the EMT and Laura was rushed to the hospital in Basel for emergency back surgery. When the doctors first saw the x-rays, they were basically convinced that Laura would never walk again. As I’m sure you can imagine, this was some pretty difficult news for all of us to hear. At that moment, everything seemed so hopeless. It became so easy to question where God was in the whole situation. How could a loving God have let something like this happen? Just like the sun is still shining behind the clouds on a cloudy day, God was still with us, even through the seeming darkness. As we waited and cried and prayed and wondered what would happen next, evidence of God’s love, grace, and truth began to shine into our lives like beams of hope. The surgery went well, very well in fact. The doctors were so impressed by the post-surgery x-ray that they changed from their earlier conclusions—walking was no longer out of the realm of the possible (not by any means, likely or easy…but at least they were acknowledging the possibility). What amazing evidence that God was already beginning to work healing in Laura’s body! The fact that Laura has been able to stay in Basel for rehabilitation has also been a blessing. Her parents were able to come and stay with her—first both her mom and dad at the hospital, and then later just her mom at the rehabilitation center. They have both left now to go back to the States, but what a blessing it was for Laura to have them here with her for the first few weeks. As you probably gathered from the previous paragraph, Laura has “graduated” from the hospital and is now staying at a rehabilitation center in Basel. The center is very nice with a place for aqua therapy and even a “petting zoo,” (I don’t know what else to call it…a menagerie, perhaps?) complete with horses, donkeys, pigs, parrots, bunnies, dogs, cats, and other furry friends. Laura has physical therapy every day at the center to help her learn how to use her “walking muscles” again. Though therapy is extremely exhausting, Laura has been able to make some pretty exciting progress. She was able to stand with leg support and was even able to take a few steps with the help of some parallel bars and three assisting physical therapists! Please join me in continuing to pray for Laura’s strength and healing. She still has a long way to go, but I am so excited to see how God has been working already. If you would like to follow the steps of Laura’s journey of recovery, she has a blog at http://posthope.org/laurasjourney. I love reading her updates since I am not able to go visit her everyday in Basel. However, last Saturday, I did have the opportunity to visit Laura with all of the Garni girls. It was a wonderful time of being together and celebrating Laura’s birthday. Here is a picture of all of use together.